In most cases a national park visit requires a vehicle, which can add extra time and expense to a fly-drive itinerary. Factor accessibility into the equation and it becomes even more complicated, as adapted rental vans are sometimes not readily available at gateway airports. So what’s a traveler to do? Well if Glacier National Park is on your bucket list, it’s now possible to enjoy a seamless accessible national park visit without a car, van, or even an airplane. Thanks to accessible rail connections, as well as a local network of accessible transportation providers, wheelchair-users and slow walkers can now get to, get around and get out and enjoy this magnificent national park — all without a car. Accessible rail service is available to Glacier National Park on Amtrak’s Empire Builder train that runs from Chicago to Spokane. The train stops in West Glacier and East Glacier, and also connects to Seattle and Portland from Spokane. The Empire Builder train features an on-board lift, but station lifts are also available at both Glacier park stations. The east-bound train departs Spokane just after midnight and rolls into West Glacier about seven hours later. The west bound journey is considerably longer — it takes almost 30 hours to reach East Glacier from Chicago. And although the West Glacier station is open year-round, the East Glacier station is closed during the winter months. Accessible shuttle service is available at both stations to select park lodges. On the west side, Xanterra operates an accessible shuttle to and from Lake McDonald Lodge and the Village Inn at Apgar (both of which have accessible rooms). For more information or to make shuttle reservations, call (855) 733-4522. 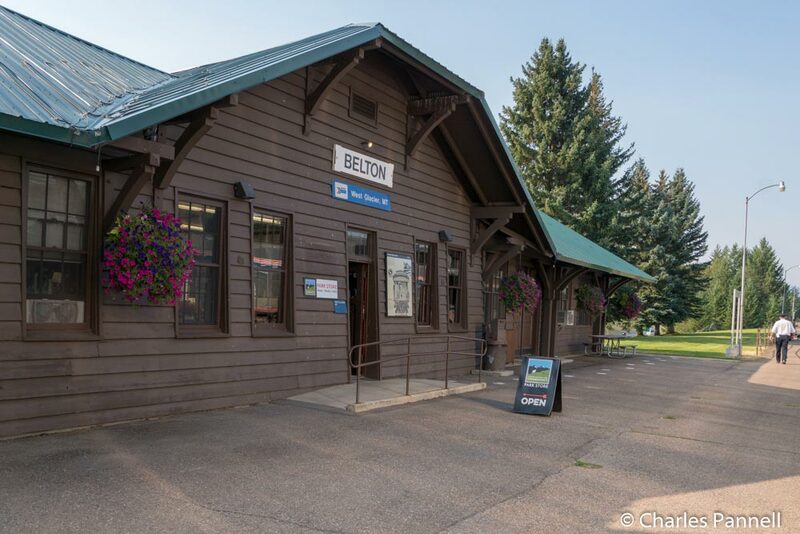 The East Glacier Train Depot is conveniently located across the street from Glacier Park Lodge; however accessible transfers are available to lodge guests with 24-hours notice. This lodge also has wheelchair-accessible rooms. Getting around Glacier is fairly easy too, thanks to a number of accessible shuttles and tours. The National Park Service operates the free Going-to-the-Sun Road shuttle on both the east and west sides of the park. The wheelchair-accessible shuttles depart from Apgar Visitor Center and St. Mary Visitor Center during the summer months. Both routes stop at the major viewpoints along the way, and visitors can transfer at Logan Pass, to see both sides of the park. It’s just a short walk to the shuttle stop at Apgar Visitor Center from the Village Inn at Apgar; and the East Side Shuttle connects Glacier Park Lodge guests with the Going-to-the-Sun Road shuttle at the St. Mary Visitor Center. Wheelchair-accessible vehicles are available with 24 hours notice on the East Side Shuttle (844-868-7474). 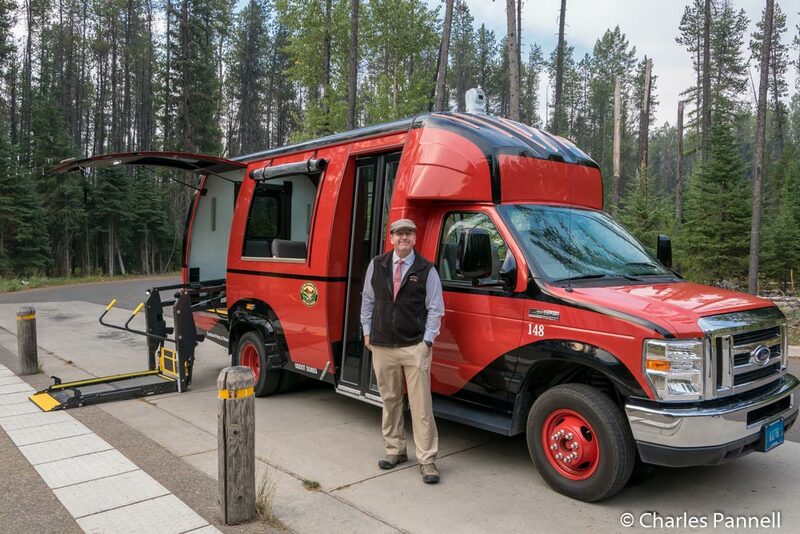 Although the historic Red Buses of Glacier National Park are not wheelchair-accessible, Xanterra Parks and Resorts added two wheelchair-accessible vehicles to their fleet when they took over as concessionaire in 2014. The lift-equipped vehicles have two-wheelchair spaces with tie-downs, and can accommodate a total of 14 passengers. The accessible tours generally follow the same itinerary as the standard tours; however they tend to spend more time at the accessible stops, such as the Trail of the Cedars and Logan Pass. The western tours depart from the Apgar Visitor Center and Lake McDonald Lodge, and the eastern tours depart from the St, Mary Visitor Center. For more information, visit www.glaciernationalparklodges.com. Remember to book early though, as these popular tours sells out quickly. Additionally, Glacier Sun Tours also offers tours of the west and east sides of Glacier National Park in air-conditioned vehicles during the summer months. The tours depart from Apgar Visitor Center and St. Mary Visitor Center. Tour guides are lifetime residents of the Blackfeet Indian Reservation, and they offer visitors a good overview of the natural history of the park, and also integrate their own tribal history and culture into the interpretation. Advance reservations are required, and wheelchair-accessible vehicles are available upon request. For more information on Glacier Sun Tours offerings, visit www.glaciersuntours.com.